Why should you take the time and effort to write really good titles and descriptions when you submit your link to a directory? The short answer is – if you do it wrong, your link probably won’t be published! You may very well be wasting your time. Link titles should be based upon the name of your site. When you go to your homepage, what is the title displayed in your browser’s tab? The title is not that proper place to write a book. Limit your title to between 45 – 50 words or less. Less really is good here. Don’t stuff keywords into the title and do use accepted grammar, capitalization and punctuation rules. (More information about these four items is discussed below). I don’t know how the no capitalization rule got started for titles. But, it’s just wrong. Capitalize the first word and all proper nouns used in a title (yes, India is a proper noun). If you want to get a search engine’s attention, write a different title every time you enter a link. I didn’t say this would be easy and taking short cuts can greatly diminish the possibility of a good outcome for your efforts. The description should tell about your site in natural, no hype way, using every day terms. Avoid words like the best, top, premier, etc., unless you can prove it. The winner of the “something or other award” is fine if it’s true but saying you are the best appliance dealer in Australia is not good, unless you can somehow prove you are, in fact, the best. The description should contain at least 100 words but no more than 250 -300 words. If you can’t come up with at least 100 words to describe your site, you are not trying hard enough. More than 300 words and you are likely trying too hard. Just as with a good title, you want to use a unique description for most links. Save any extra words over the 250 – 300 word limit to use on your next listing. Stay away from anything that would date your listing. Where Windows 2000 was once cutting edge technology, the mention of it today will date your link. For the same reason, don’t mention sales or shipping prices, dates or anything that may be subject to change in the future. This includes phone numbers. I suggest you always use your index (home, main) page as the primary URL in the listing versus a deep link. In other words, use www.yoursite.com not www.yoursite.com/our -fence-specials.html. It’s fine to add deep links if directories provide you the option to enter them but always use your index page for the primary URL in your listing. There are a couple of reasons for this. One, some directories don’t allow deep links, especially for free links. 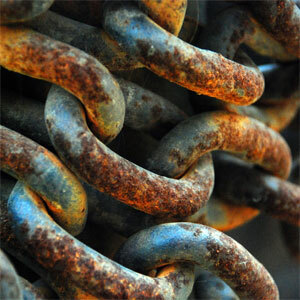 Second, bad deep links are a primary reason why links are removed from directories. The widget you were selling three years ago at yoursite.com/hot-widget.html may have been improved and moved to yoursite.com/new-hotter-widget.html. A visitor to the old link will receive a file not found error. You should use proper capitalization, grammar, and punctuation in the description. The rule of capitalizing the first word in a sentence and any proper nouns applies here also. Do not capitalize key words or words you deem important unless they fall under the rules above. Visit our Showroom for the Best in Diamond Rings is not good. And for heaven sakes, put a space after punctuation marks. SEO,development,programming,marketing is not proper punctuation. Neither is SEO , development , etc. Just as with the title, do not keyword stuff in the description. If you are dealing with a quality directory, there is absolutely no reason to use keywords to excess. A quality directory will allow you to enter keywords that will later appear in the Meta data for your link. When you are given the chance to enter keywords, use this option wisely. Enter the keywords you would have stuffed into the title and description. Notice I said keywords – not key phrases. You are wasting your opportunity if you start adding lots of phrases, especially if they contain more than two keywords. And don’t forget to use a comma to separate your keywords. A proper keyword string is something like: ski, Santa Fe, Taos, angel fire but not ski New Mexico deals on lift tickets. The latter is obviously a phrase and a long one at that. The only reason to use a phrase is if you are trying to rank for that phrase. Now is probably a good time to discuss what keyword stuffing is. Using the same keyword more than two or three times is stuffing. Here is an example: Melbourne plumber, Melbourne plumbers and plumbing contractors in Melbourne. Any one of these is fine for a title – two or more of them it not! Here is another example of stuffing: gold jewelry, gold rings, gold bracelets, gold necklaces and gold earrings. Don’t use the same important word more than once in a title and more than twice in a description. Consider your company name and your URL to be keywords. There is no reason to put your URL in either the title or description. Any directory will display your URL in your link without you having to mention it. Treat the name of your company or organization as a keyword. You waste valuable space when you use your name or URL in the title. If you feel you must use your company name in the description, just use it once. Any more than that is un-natural. Your company name should always be added as Meta keywords. Correct grammar is also an important part of getting your link published. How you can know if you are using proper grammar is beyond the scope of this article. If you are not writing in your native language, you should ask a native speaker to proof read your text. Don’t be lazy in completing this process. Trying to find short cuts to doing a proper job will likely cost you in the end. Spend the time and effort it takes to write unique, high quality titles and descriptions. When you do get a quality listing published, it may last for many, many years in cyber space.